Korea. 34,741 U.S. dead. 92,134 wounded. 7,245 POWs. 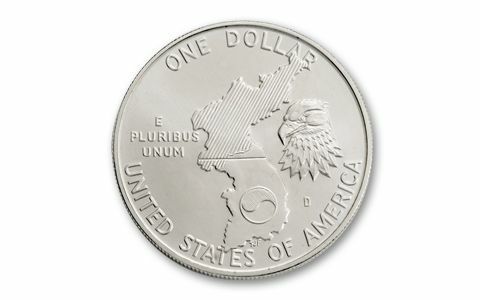 This 90% silver 1991 Korean War Memorial Proof Silver Dollar was struck at the San Francisco Mint and honors those who served on the 38th anniversary of the conflict. 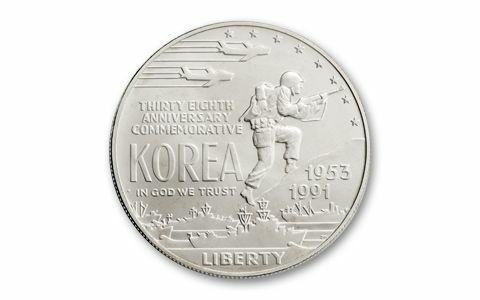 The sales of this special commemorative helped pay for the Korean War Memorial in Washington, D.C. It features images of air, ground and naval forces on the obverse. 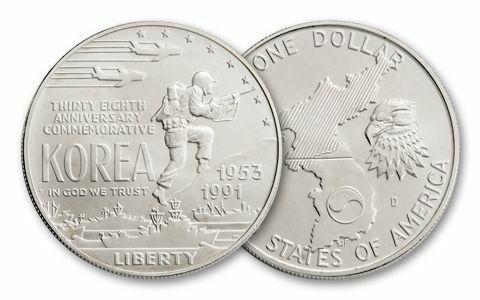 The reverse, designed by famed mint engraver John Mercanti, has a map of Korea showing the 38th parallel. A great memorial and gift for those who served.